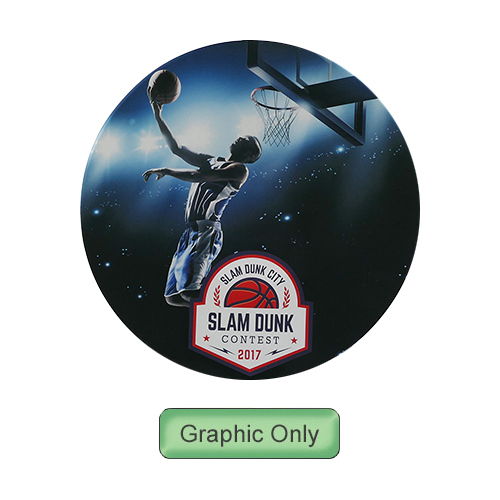 Graphic for 5ft circle banner custom printed dye sublimation on stretch fabric. Change the graphic on your hoop frame as often as needed. Single- or double-sided fabric pillowcase graphic easily slides over the frame and zips taut.